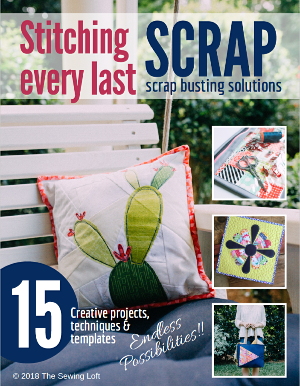 It’s the last day of our sewing machine cover sew-along! 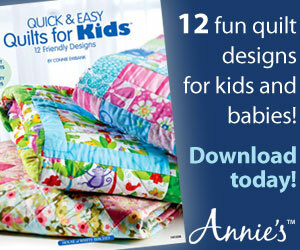 I hope you’ve enjoyed sewing this project with me! If you haven’t had a chance to get started yet, scroll down to the bottom of today’s post where I’ll link together all of the posts in the series from start to finish. 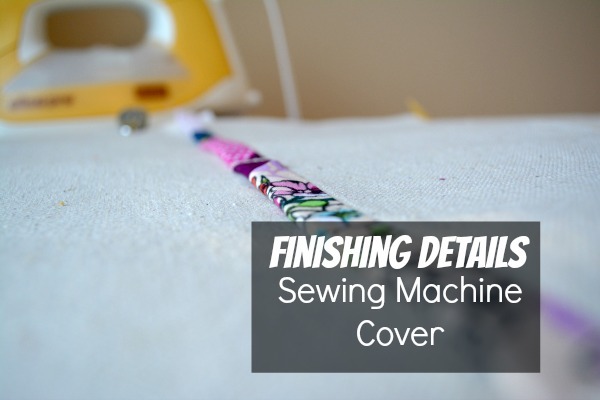 Slip the machine cover over your machine to make any last-minute adjustments. Trim if needed and attach binding all around bottom edge. Slip cover back over machine to mark opening positions for handle with heat erasing pen. 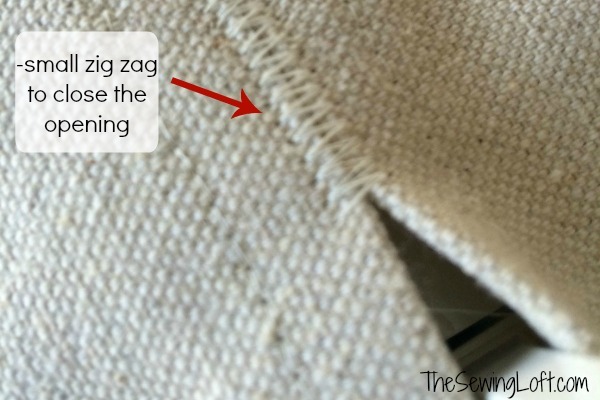 Increase stitch width to the widest setting. This is to grab the largest bite on our kissing seams. 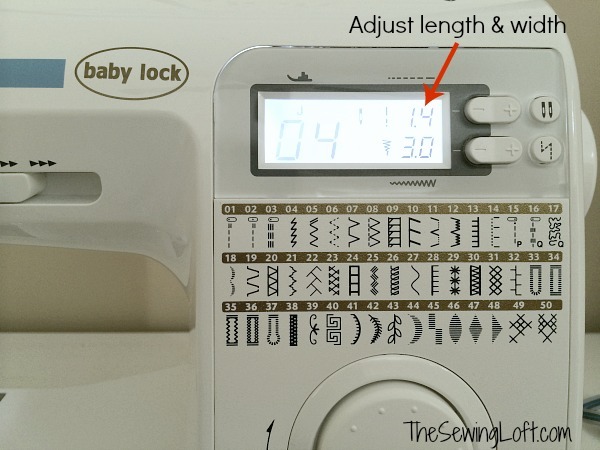 Decrease the stitch length. 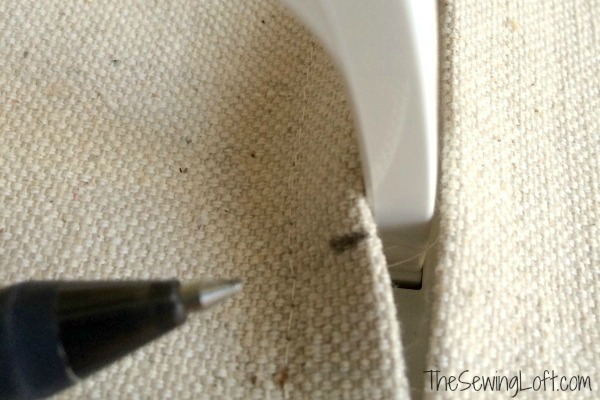 This will keep our stitches closer together and prevent seam breakage. Basically, we have just created a mending stitch. Now, I’m off to finish binding my hem but once I do, I’ll share a few photos on social media. And that’s it! 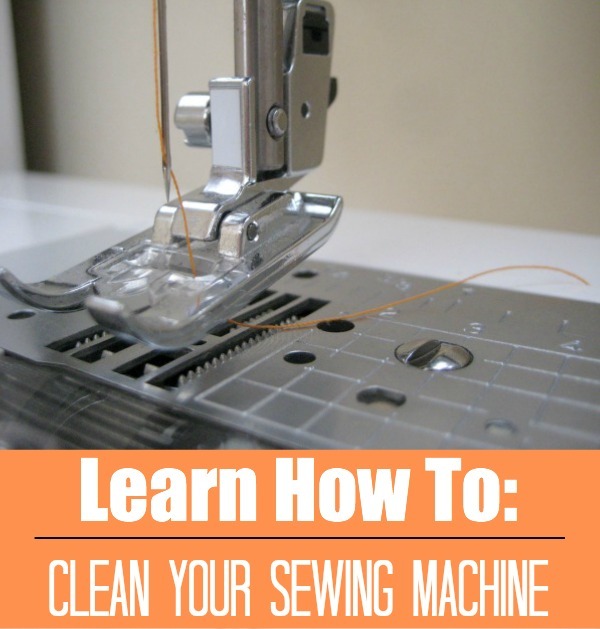 I hope you enjoyed this sewing machine cover tutorial and have taken the time to sew along with us. 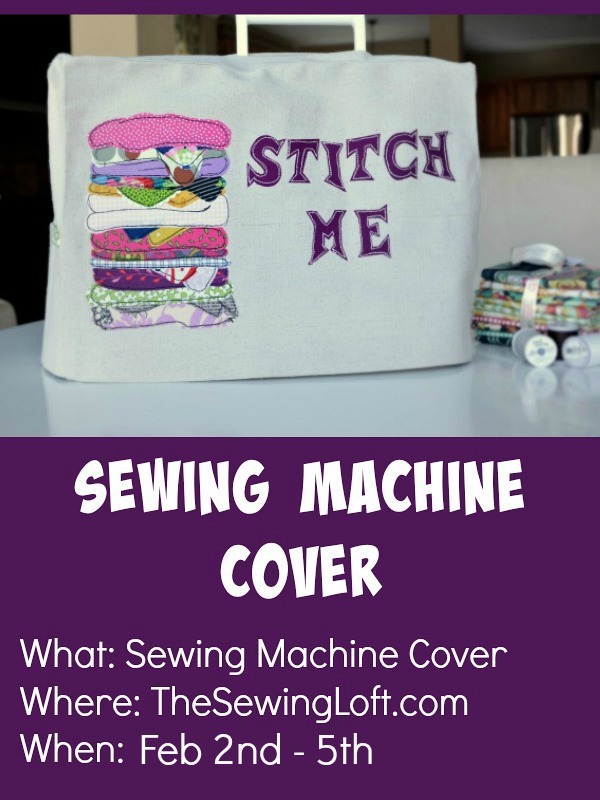 I’d love to see photos of your finished machine covers – share them on Instagram or add them to The Sewing Loft Flickr pool. 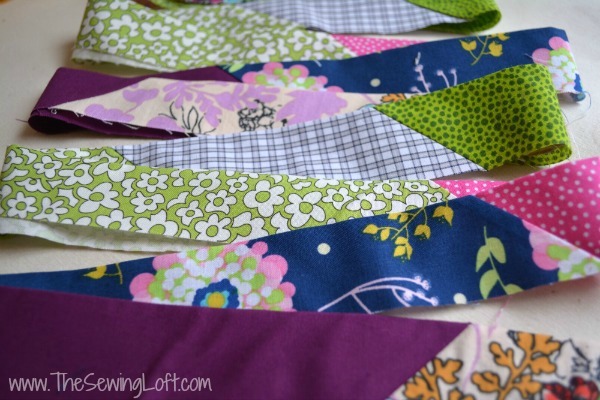 Click here if you missed any part of our Sewing Machine Cover Pattern Sew Along. ps- Now that your machine has a col new cover, it’s time to look under the hood and clean out those dust bunnies! LOVE LOVE LOVE the Sewing Machine Cover series. Have been wanting to make one for all 4 of my different machines – the plastic covers are so ugly – now I can. Thank you very much. Great instructions and pictures also. Fantastic Shelia! I can’t wait to see how it turns out and what fabrics you select. I want to thank you for the patterns you offer tutorials on, I just got the one for a much needed sewing machine cover. I love it. I have been following your blog and things for a while now. Love your sight… sew for now, I’ll go plan a time and gather things to sew.. 🙂 have a great day.